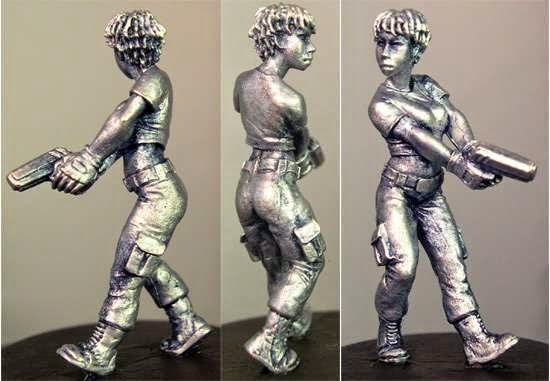 Hasslefree Miniatures is one of the few contemporary miniature makers that I love. 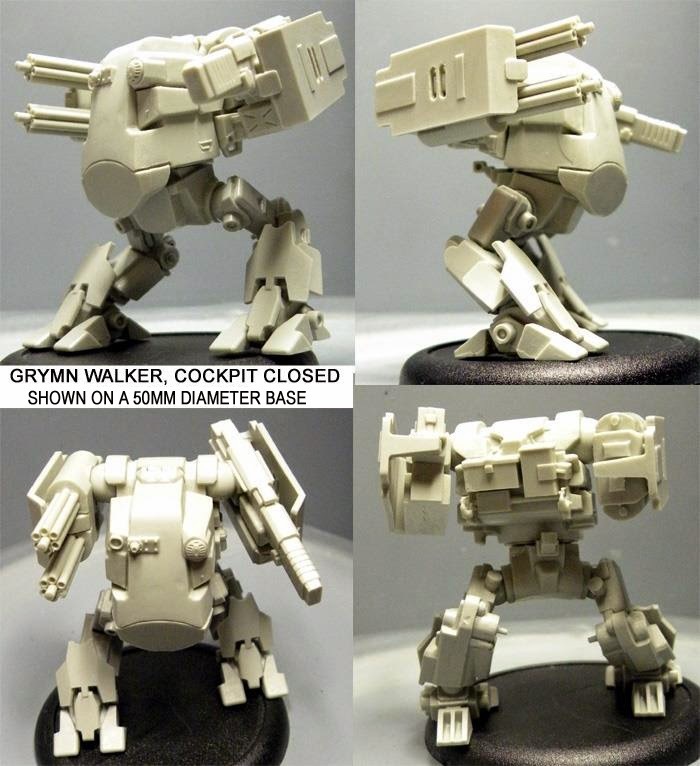 And for the next day, Hasslefree Miniatures is offering 11% off with the promocode HAPPY11. This is in celebration of their 11th anniversary. I didn't realize that 11th anniversaries are a thing – it brings to mind Sammy Maudlin’s 23rd Anniversary Special. Well, whatever the number, happy birthday Hasslefree! I admire Hasslefree, and its principal sculptor, Kev White, for two overlapping reasons. 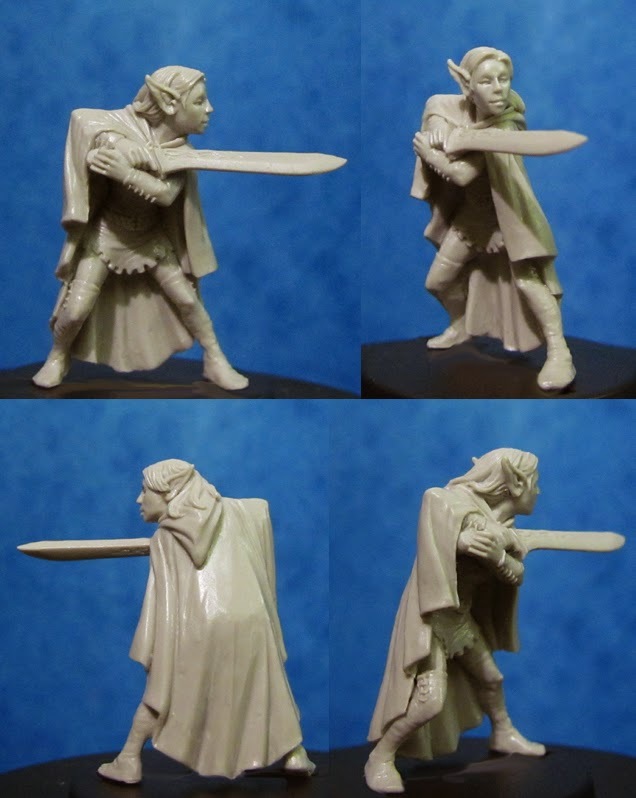 First, they have a clean, simple style that really cuts against the modern trend toward overly detailed miniatures with lots of folds, fobs, straps, jewels, weapons, plates, layers and fringes. The simple, Hasslefree style instead emphasizes the human body, and the face of the miniature. Like the Citadel sculpts of old [steady, nostalgia rage], Kev White knows that the face is what transforms a miniature into a character - and so everything focuses on the face. The second thing I love about Hasselfree and Kev White is that they have a distinctive look: smooth lines, understated features and a well-rounded human form (i.e. a normal body fat ratio). But if there was one word I’d use for White’s work, it is gesture. He has a unique ability to evoke the personality of a figure through posture, poses and gestures. As I’ve said before (about a very different man, Bob Olley), a personal style is what makes a miniature sculptor into an artist. You know a White sculpt immediately upon picking it up. I also have a soft spot for Hasslefree because my first (and only!) 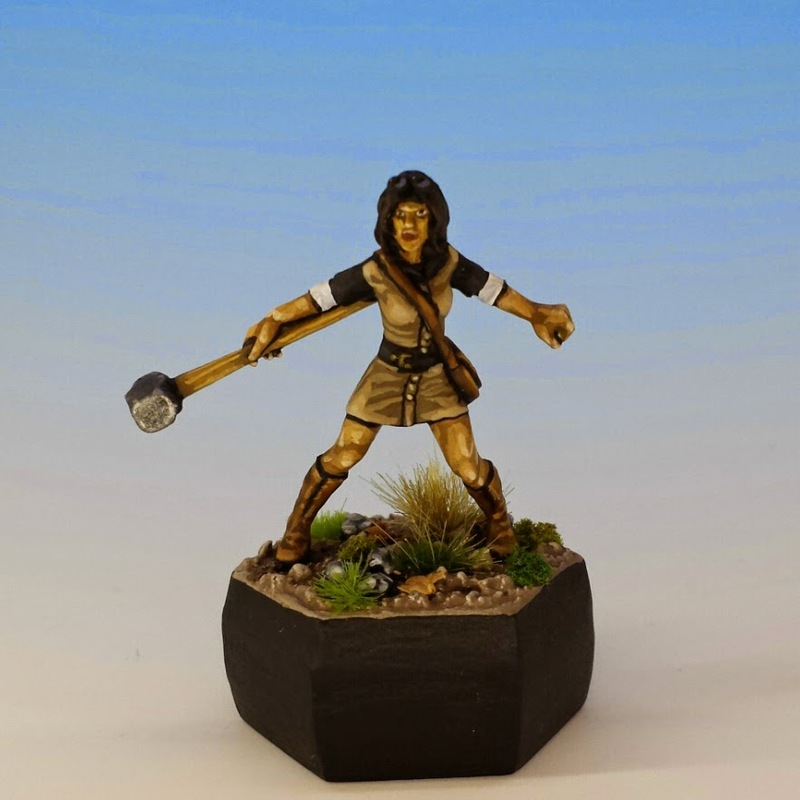 commission as a miniature painter was to paint a HF miniature. My friend Matthew asked me if I would paint a miniature rendition of his girlfriend Emily as a Christmas present. We both scoured the internet searching for a likely likeness, a task which is not too easy when you want a realistic portrait of an actual woman, and not an anorexic death nymph with breast implants. I suggested Matthew look at Hasselfree, and he immediately came up with HFA108 Lisa Lambaste, pictured in this post. She’s a great figure: resolute without being po-faced. I painted her outfit to match one of Emily's dresses. As with attempting to paint anyone real, the biggest challenge was getting the skin right in tone and shading. This took hours of experimentation, and one pixel out of place could destroy any resemblance to the real Emily. Anyway, this morning I met her for the first time since she received the gift, and she was very appreciative: she said it looks just like her! I couldn't be happier. Anyway, if you haven’t checked out Hasslefree before, give them a look. They have a great variety of ranges, and are particularly rewarding if you're looking for (strong) female characters. I also like the fact that Hasslefree gives a name to all their minis... this touch gives the models even more of a sense of individuality. Below are some of my favourite HF miniatures. Yes, a huge thank you for painting mini-Emily! She was completely delighted to find this under the tree. I can also confirm she looks exactly like this when swinging a sledge hammer. I heard an interesting rumour that you had tried to induce Emily to actually buy a sledge hammer and try out the miniatures' pose. Confirm or deny? Well I just spent too much money on the Hasslefree site! Ah well, at least I got all the pretty minis I want at 11% off, thanks for posting this! I only hope I can do half as good a job as you with the paintwork. 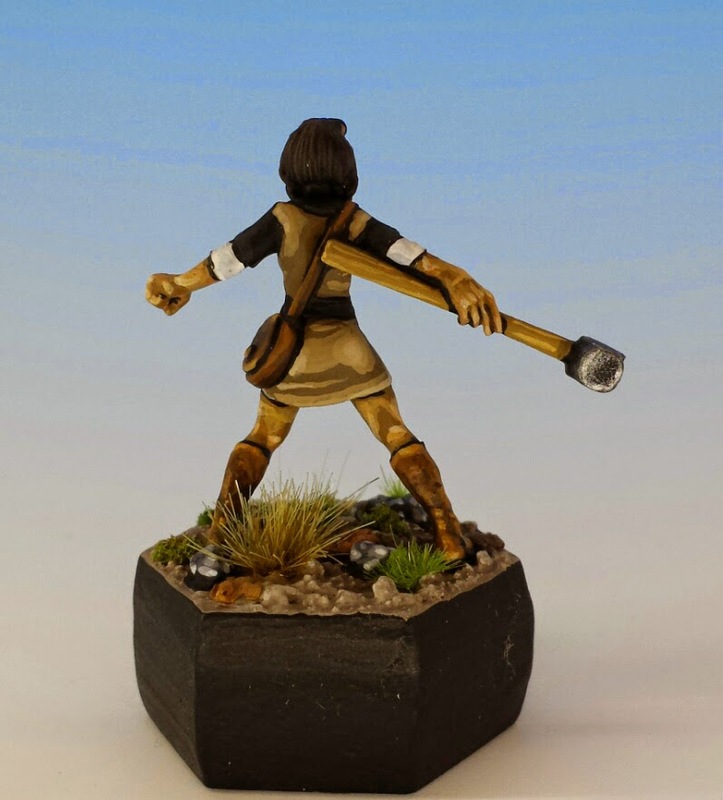 Loving Emily, and great to see another Canadian Oldhammer enthusiast!